In the history of violin making, Denmark might seem a rather obscure and small country, overshadowed by the major violin making regions of Germany, France, the Low Countries, England and of course Italy. Music, however, has always played an important role in Danish society. Since time immemorial, Denmark’s kings, nobility and citizens have strived to employ the best composers and performers. This has created a tradition of not only importing and dealing in instruments, but also of making and repairing them. Denmark, with its southernmost position among the Scandinavian countries, has always been a passageway for musicians and artisans traveling between the rest of Europe and Scandinavia. This position has benefited Danish society, which for centuries has had a large influx of musicians from Germany, France and Italy as well as Norway and Sweden. It is also important to understand that new musical influences such as those of the Renaissance, Baroque and Romantic eras can spread quickly in a small country like Denmark, where the leading musicians, composers and instrument makers are more likely to know one another. Depictions of early violin family instruments (generally of viol and lira da braccio forms) can be seen in many medieval churches built around the Danish countryside. 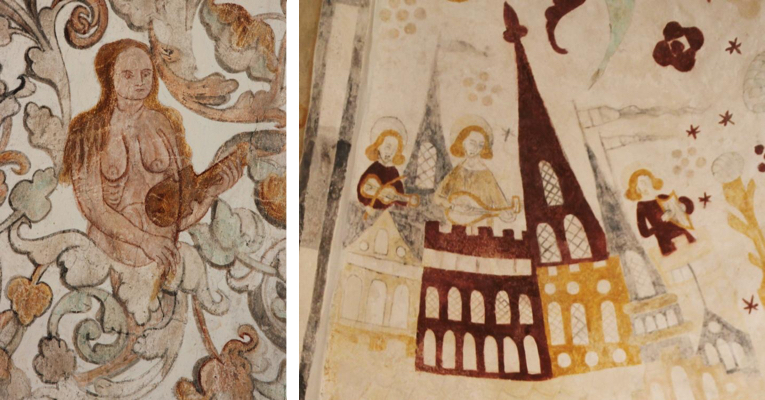 These include fresco paintings such as one from Draaby church in Jutland before 1550, which shows a woman of dubious character playing the fiddle while, among other things, letting her hair hang down! Instrument makers from those days are of course unknown, but these images bear witness that music was appreciated even if fiddle playing was sometimes considered sinful. Another fresco from Hyllested church, Jutland, around 1490 shows the fiddle being played with lute and lyre by angels, welcoming the deceased at the gates of heaven. 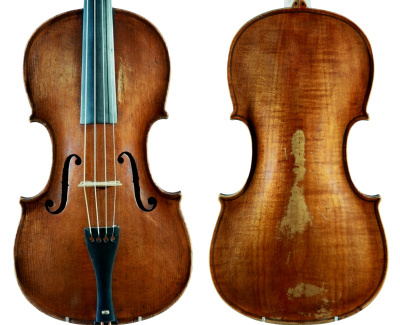 The earliest surviving examples of the modern violin date from around 1750, leaving some uncertainty regarding what was going on before this time. Instruments of the viol family were produced by a handful of makers, although their surviving instruments are very rare. A treble viol made by Johan Karp in Copenhagen 1706 is now in the collection of Sweden’s Musical Instrument Museum in Stockholm. Johan Karp was German by birth and probably related to Gregorius Karp, the well-known maker of fine viols in Königsberg, East Prussia. Other early Danish makers of viols, citterns and small guitars include Peter Nielsen Baas (active c. 1708), Johan Hallwich (active c. 1750), Michael Paiker (active c. 1740) and Kristian Jørgensen, who is listed as a licensed violin maker in a Copenhagen census of 1691. Unfortunately no violins from these makers are known today. Around 1769 another German immigrant, Johannes Peter Linck (c. 1706–1779), who had a military career whilst fathering 12 children, turned to violin and guitar making in Copenhagen. If he had any training as a violin maker it would surely have been in his native Germany. Only two instruments definitely made by him are known today. 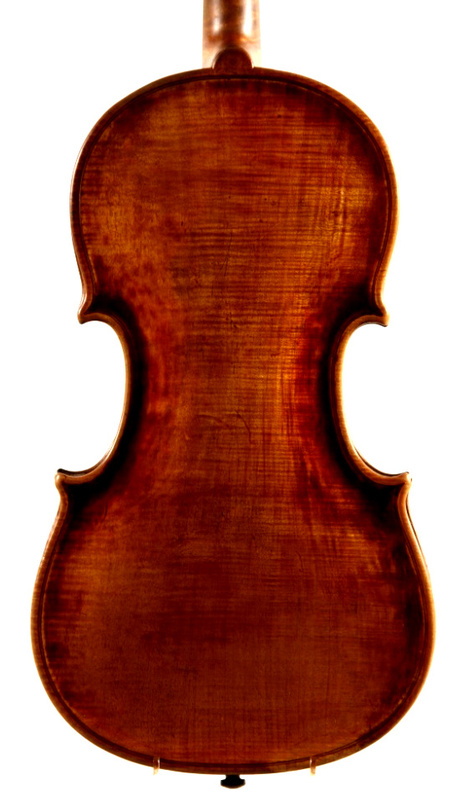 Jesper Gotfredsen (c. 1708–1774) was one of the earliest makers to produce violins of standard size and model. The known instruments from his hand are made with painted purfling and dark-brown varnish. Like most of the instruments from this early period, they show a strong Germanic influence and in many cases locally grown Danish maple is used for the back, ribs and scroll. His son, Gottfried Jespersen (1746–1796), took over the trade licence and, we assume, also made violins although no instruments by him are known today. Iohan Hinrich Schnabel (1744–1799), originally a bassoon player in Copenhagen’s Royal Opera Orchestra, changed to violin making (possibly because of loose teeth!) and made the viola illustrated here in 1788. It was for many years played in the Royal Opera Orchestra by Bernhard Rosenbaum – the father of Børge Rosenbaum (who later changed his name to Victor Borge – the famous pianist and entertainer). This viola clearly shows Germanic influence and again locally grown maple was used. It has high, bulbous archings and a varnish of straw-yellow-brown color. Four or five instruments from his hand are preserved today; most of these bear his label and are also branded inside with his initials, *I*H*S* – a feature often seen on German instruments from the Markneukirchen and Klingentahl tradition, and not to be confused with Schoenfelder. Norwegian-born Ole Dreier (c. 1751–1812) came to Copenhagen around 1786. According to the complaints of a Miss Karen Kirstina Andersdatter of Trondheim, Norway, he seems to have produced several children with her before escaping to Denmark. In his letter of response he argues that he is hard working as he gets up at 3–4am to make violins before going to work as a carpenter. 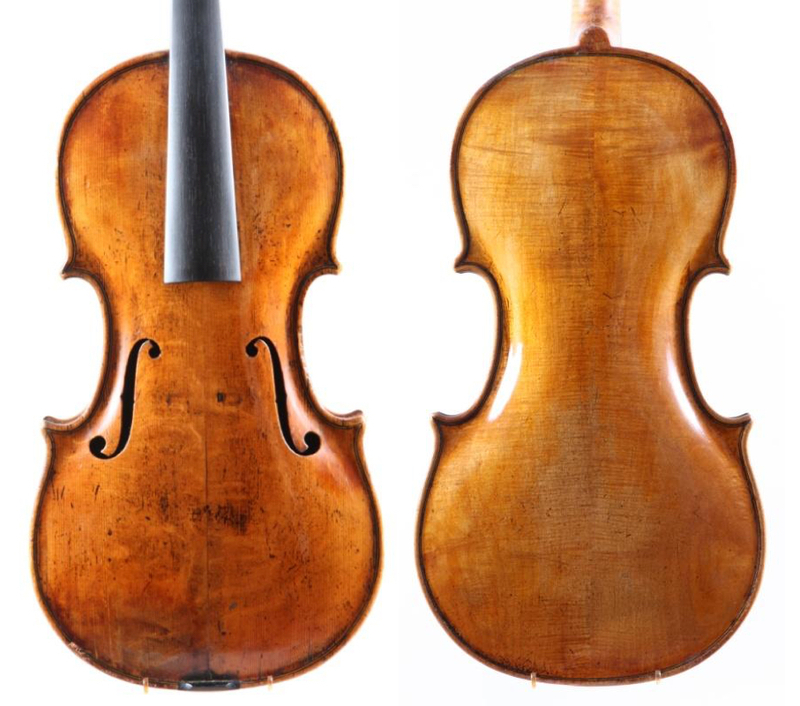 Only two violins plus the back of a third are known from him today, all of a small size with high archings. Nicely printed Dreier repair labels are sometimes found in instruments, indicating that he was a serious craftsman. Around 1780 Copenhagen was a rather small capital and inside the city walls and moats it seems that everyone knew everyone. For a violin maker life was not easy financially. One guarantee of survival was to be appointed as official maker to the Royal Court – thereby securing repair work from the Royal Opera Orchestra as well as becoming the supplier of ‘Roman strings’ (Italian gut strings from Rome and Naples) and blank sheet music paper to the musicians of the court. Interestingly, upon her arrival in Copenhagen in 1810, Wolfgang Amadeus Mozart’s widow Constanze Mozart claimed that the Royal Opera Orchestra was of an excellent standard for playing her late husband’s operas and concertos. On May 20, 1789 Andreas Hansen Hjorth (1752–1834), originally a ship carpenter and founder of the Hjorth violin making dynasty, was appointed violin maker to the court by King Christian VII (1749–1808), who was partly insane but apparently well enough on that day to sign this document! Among other deeds he is known to have appointed his favorite dog as minister of foreign affairs. In fact the king’s son Frederik (1769–1839) was in most cases the hand behind official signatures. Hjorth was, to my knowledge, the first maker to receive this royal appointment, which surely gave the craft a much more serious profile in Denmark. He seems to have been trained in the German Tyrolean tradition and produced a fair amount of instruments of a small size. On his label he often writes ‘made according to the Amati rules’. Interestingly he set necks in the Baroque manner throughout his career. Was his clientele old fashioned or had they not yet seen the more modern neck-setting from France? What we do know is that Hjorth lived through the rough times of the Napoleonic wars. Through a telescope, still preserved today by the Hjorth family, he saw Horatio Nelson’s battle and confiscation of 80 war ships and 243 merchant ships in 1801 and the British bombardment of Copenhagen in 1807. Luckily his house and workshop was not caught in the fire. 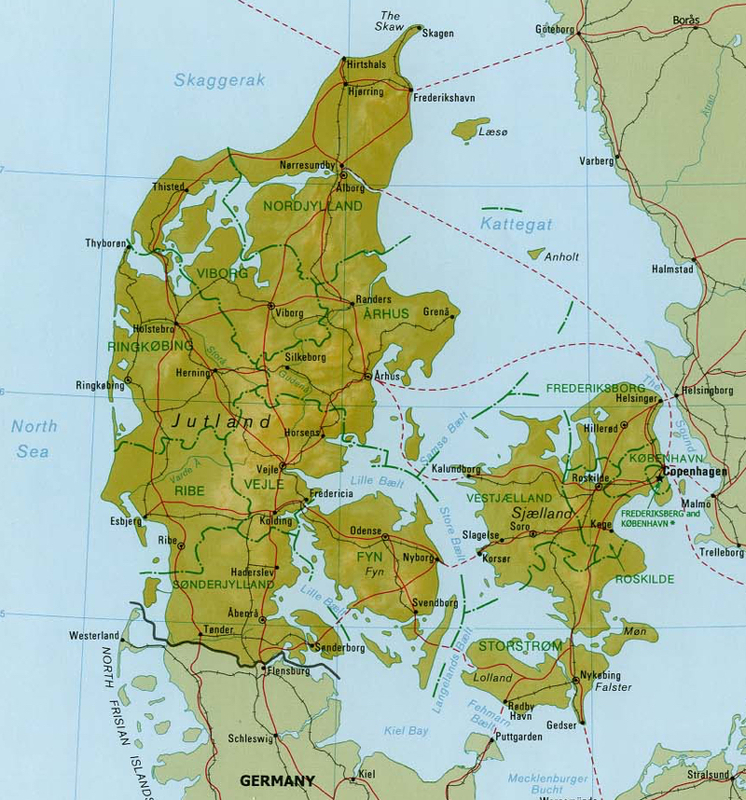 Denmark, as a result of this severe attack, went bankrupt in 1813 and lost Norway in 1814. Instruments by Andreas Hjorth and others show the consequences of these wars, as imported wood of good quality became nearly impossible to obtain. Likewise Hjorth’s supply of good-quality gut strings from Italy often failed because of the trade embargo with foreign countries, even when the strings had been pre-paid. Norwegian-born Nicolaus Jacobus Marstrand (1770–1829) is another interesting figure in Danish violin making. He was a mechanical engineer and inventor of many machines, including a tuning device for harps and a contraption for kneading dough at the bakeries. He turned his attention to producing pedal-harps and in order to learn this properly he was granted money enabling him to study in London with the Erard Harp making company. This was around 1806–07, at the time when the Napoleonic wars threw Denmark into conflict with the British regarding international trade with merchant ships. We now know that Marstrand was actually employed to spy on the British military equipment. Just before the British attack on Copenhagen in 1807, he had to flee down the Thames on a barge bound for Hamburg, Germany. Back home in Copenhagen he found work managing the mechanical workshops at the ‘Rasp-house’ – the state prison where convicts were kept busy rasping large trunks of pernambuco to dust for the textile dyeing industry. Marstrand produced some violins, violas and cellos despite admitting (according to a book written by his family) that he sometimes found the craft difficult. Like Andreas Hansen Hjorth, he stuck to the Baroque way of neck fitting throughout his career. At his home in Copenhagen he hosted several soirées where musicians, painters and writers would meet to play chamber music. Brothers Jens Nielsen Gade (1788–1854) and Søren Nielsen Gade (1790–1875) should also be mentioned as they produced a few violins and violas. Their main activity, however, was making square pianos and small guitars for which they became quite well known. Only two violins and one viola by the brothers are known today. Søren Nielsen was the father of composer Niels Wilhelm Gade (1817–1890), who was a close friend of Felix Mendelssohn Bartholdy and his successor as conductor of the Gewandhaus Orchestra in Leipzig, Germany. Niels Jensen Lund (1784–1858) was a pupil of Ole Dreier and had a workshop at the Royal Horseguards Barracks near Christiansborg Castle, which houses the Copenhagen parliament. There was no formal conservatory of music in Denmark in those days, and private tuition with concertmasters or court musicians was expensive. 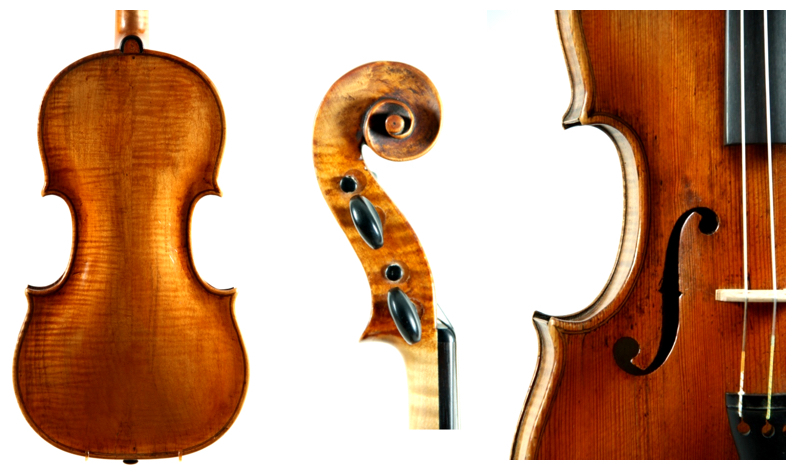 Therefore violin makers such as Lund often began their career by learning music (mostly wind or percussion but also violin family instruments) while being enrolled for military service. This we also see with Johannes Peter Linck, Thomas Jacobsen, Gulbrand Enger, Jens Nielsen Frost and Anders Rasmussen. Only one violin made by Lund is known today; the many instruments bearing his repair label suggest he was mostly active as a restorer. Lund’s instruments show that he made the white of his purfling from two pieces of maple with a joint in the middle. This is a very practical method: take a shaving of maple, slice it in half and glue the two pieces together – thus making the center white of the purfling twice as wide as the outer strips of black-dyed/stained maple. This is a small but important detail when identifying a particular school of Danish-made instruments – it is also seen in the work of Thomas Jacobsen, Frederik Wilhelm Hansen, Peter Petersen Adamsen and Niels Larsen Winther, who, as we shall see in the next article, formed a succession of teacher–pupils. This detail can also be found on instruments by Carlo Bergonzi, Samuel Nemessanyi and some German makers, just to add to the confusion! Johannes Hjorth (1809–1900) was the son of Andreas Hansen Hjorth, whose shop he took over around 1834. While he made some violins, his main activity seems to have been guitar making (small parlour-sized guitars were popular from around 1820 till 1850), repairing and trading in instruments. Johannes lived through extremely difficult times after Denmark’s bankruptcy in 1813, which probably explains why he never seems to have studied abroad. Unfortunately I have seen no violins made by him, but we can presume they would look similar to those of his father. He fathered Emil Theodor Hjorth (1840–1920), thus securing the family its third generation of violin making. Maker and expert Jens Stenz has extensively researched the history of violin making in Denmark and owns a large collection of Danish instruments. In part 2, he surveys the golden age of Danish violin making from 1840–1900, while part 3 examines the country’s 20th-century makers. Instrument photos all courtesy of Jens Stenz.